— 15 buildings and 9 battle units. — Form alliances and trade with other players. — No download necessary, play directly from your favorite browser. All actions in Tribal Wars take a pre-set amount of time. The time it takes a player's army to reach another village depends on the distance, as well as the predetermined "speed" of the attacking units. As for buildings, each one need time to be completed. It is not unusual for some actions to take hours, perhaps even days, to complete. Combat in the game is heavily based on statistical attributes of troops, real-time waiting and attacking villages. Players can recruit troops, Noblemen and Paladins and send them to another player's village either to reinforce or attack it. 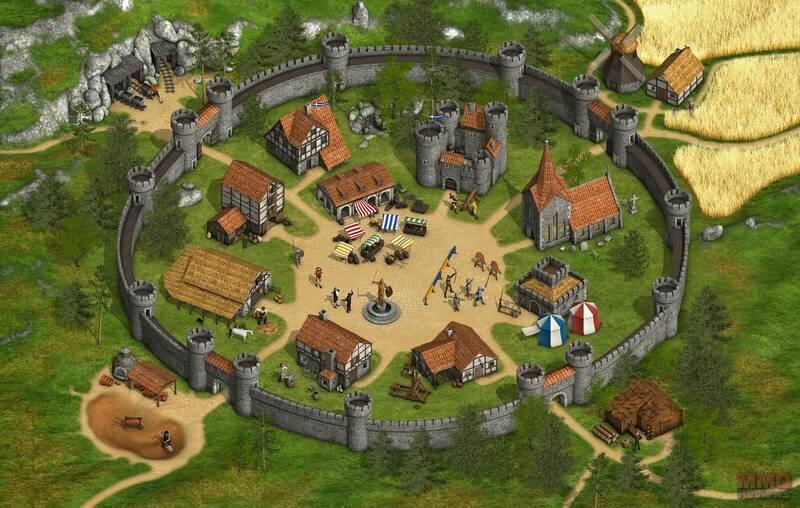 To conquer other villages, the player must use the noblemen which will have to attack a village and survive. This unit decreases the village loyalty and when the village loyalty falls to zero or below, the attacker takes full control of the village. Players can join tribes for mutual protection and guidance. The size of different tribes varies from world to world, depending on decisions of the tribal aristocracy and built-in limits on tribe size. Some worlds do not allow tribes of more than one hundred members, while others have no limit on members. Tribes have the ability to set diplomacy with other tribes, and to create their own private tribal forum. The game counts with multiple "worlds" that can be played on, and each one has a unique set of rules to it, like world speed and troop speed. The world speed defines how fast every action in the game occurs, while troop speed adjusts the speed of the moving units with respect to world speed.